Amazon's Echo is considered the first smart speaker that sparked the interest of Google, Apple, Samsung, and others to pursue this new type of AI enabled home tech. Alexa has thus become nearly an eponym of voice assistants, and is referred often in both good and bad of what the technology has to potentially offer. However, the success of Alexa's listening skills is more than super advanced machine learning algorithms and computer AI. In fact, Bloomberg's report tells that Amazon has employees all over the world listening to Alexa conversations to help enhance Alexa. The employees listen to commands given by Alexa users, and while Amazon would deny that they listen to actual conversations or the content, they do record private conversations with customers to improve their service. 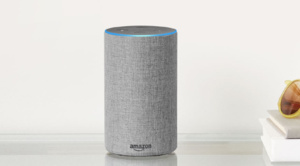 Not only are Alexa commands recorded, but according to Bloomberg's sources they also hear noises that aren't meant for Alexa's eletronic ears at all, including things like singing in the shower, children crying for help. Some employees have reported hearing noises that they've suspected were part of a sexual assault. Amazon's internal policies however dictate that they shouldn't intervene. To relieve stress from listening to harsh, perhaps even traumatic, things, Amazon has set up a chat room for the employees to discuss and share experiences. The clips that are listened by employees are obviously only a small portion of what Alexa hears. According to Amazon, no audio is recorded unless the Echo hears a wake word. However, as many of us Echo users know, that could be a something completely different that you said or a misheard phrase from TV in the background.